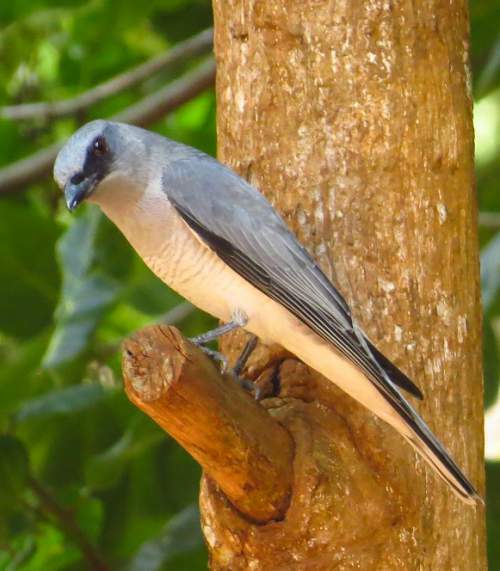 The large cuckooshrike (Coracina macei) belongs to the family Campephagidae under the order Passeriformes. 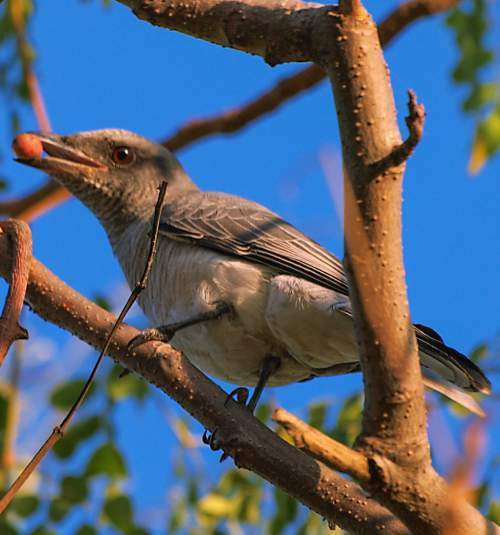 The family Campephagidae was first described by Nicholas Aylward Vigors (1785 – 26 October 1840), an Irish zoologist and politician, in 1825. The family Campephagidae comprises 316 species in eight genera, viz., Campephaga, Coracina, Lobotos, Pteropodocys, Campochaera, Lalage (trillers), Pericrocotus (minivets) and Hemipus (flycatcher-shrikes). The genus Coracina was first described by Louis Pierre Vieillot (May 10, 1748 – August 24, 1830), a French ornithologist, in the year 1816. The genus Coracina contains 49 recognized species. 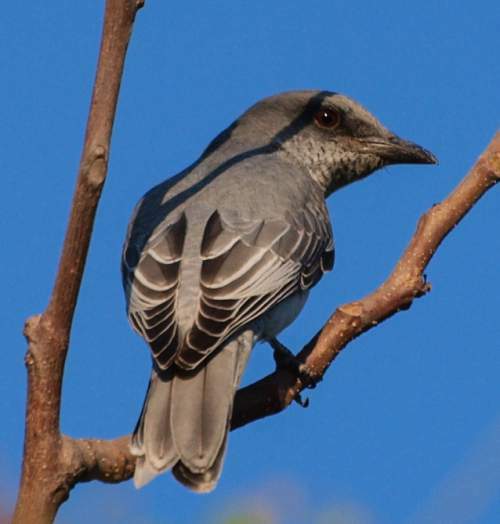 The species Coracina macei (as Graucalus Macei) was first described by Lesson in the year 1830. 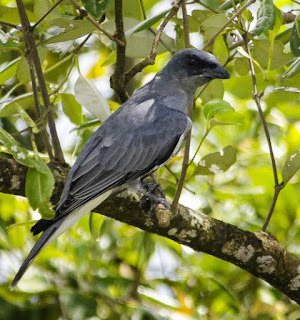 The genus comprises eight subspecies, viz., Coracina macei macei, Coracina macei layardi, Coracina macei nipalensis, Coracina macei rexpineti, Coracina macei andamana, Coracina macei siamensis, Coracina macei larutensis and Coracina macei larvivora. 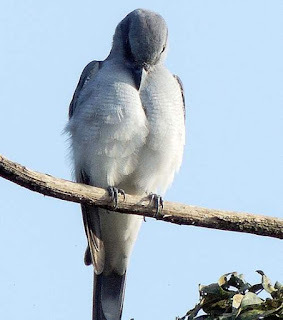 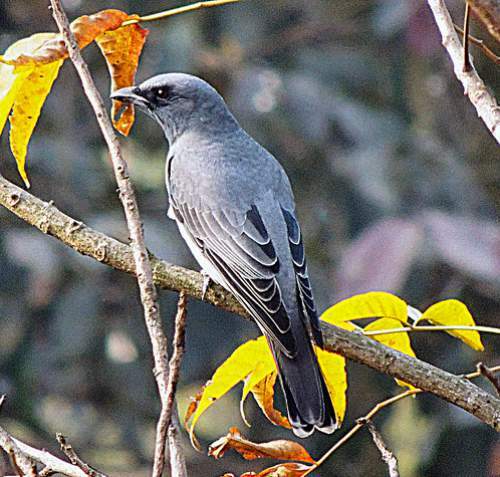 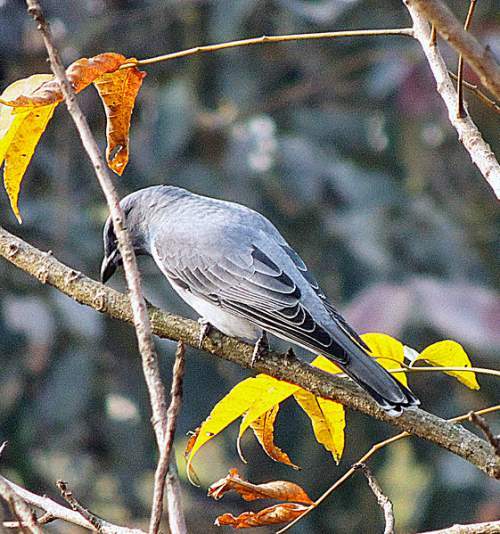 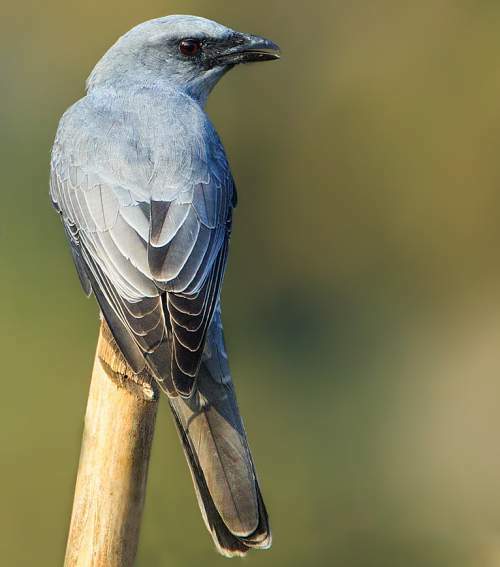 Current topic in Indian birds: Large cuckooshrike (Coracina macei) photos.